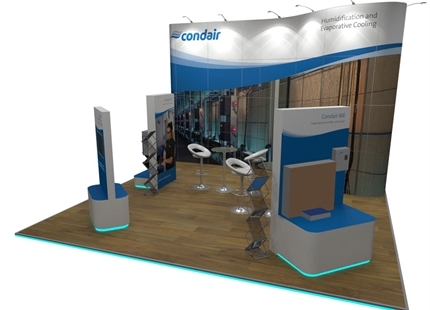 Condair, the world’s leading humidification specialist, is expanding its product portfolio with a range of advanced commercial and industrial dehumidifiers. 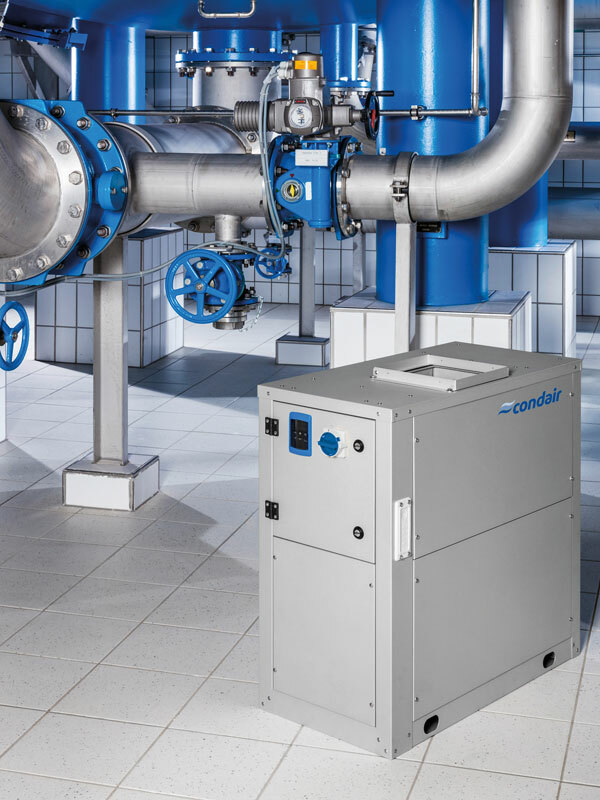 The new Condair dehumidifier range comprehensively covers both desiccant and condensing technologies with extensive standard capacities from 0.5kg/h to 182kg/h (@20°C/60%RH). 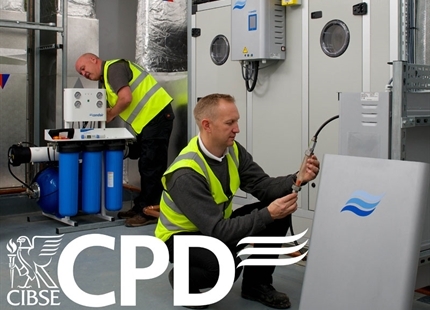 Custom units are also available, which are capable of providing even greater dehumidification or operating under specific or extreme environmental conditions required by an application. 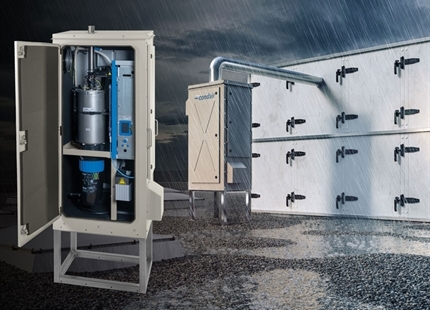 Condair desiccant dehumidifiers use a silica-coated sorption rotor to absorb moisture from the air. This type of technology is ideal for low temperature conditions or applications that require very dry air, below 50%RH. The dehumidifier’s sorption rotor is regenerated with a heated airflow and the wet, hot air is vented externally. As standard, electrical heat exchangers are used for this regeneration process but gas-fired, steam or hot-water heat exchangers can also be used, either alongside the electrical heater or instead of it, to reduce energy and operating costs. 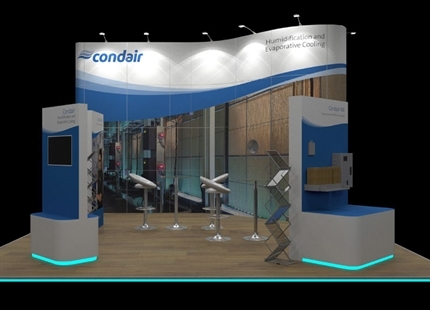 The desiccant dehumidifiers, from Condair, are designed to allow additional modules to be seamlessly attached on either the process or regeneration airflows. 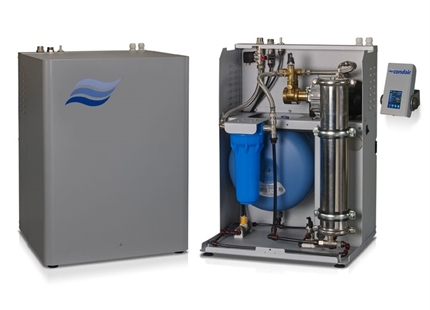 These modules provide pre or post-cooling, post-heating or air-cooled condensation removal. Being able to customise the system with these modules allows air to be delivered to an area or room at a precise temperature as well as the correct humidity. The air-cooled condensation module removes the need for external venting of the wet regeneration airflow, making the system even more flexible in its operation. 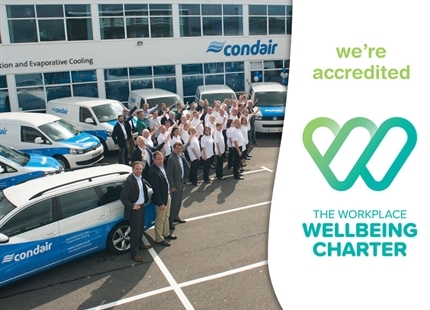 Condair condensing dehumidifiers use a refrigerant circuit to remove moisture from the air, as it condenses on cooling coils. 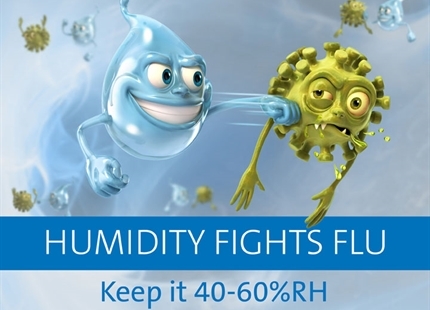 This type of technology is ideal for lowering humidity to around 50%RH. 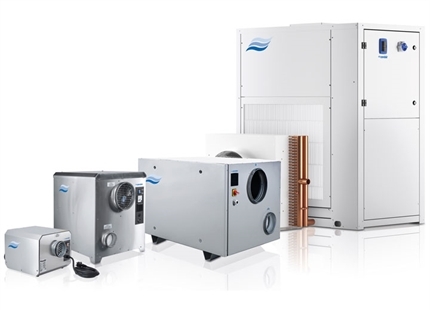 Features of the range include hot-gas defrost as standard, to control icing on the cooling coil and ensure efficient operation at lower room temperatures. 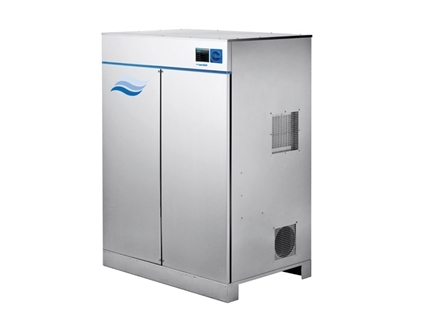 Temperature neutral models are also available that have a secondary, externally located condenser. 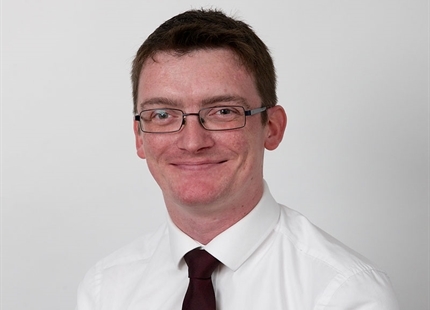 This allows some of the heat generated by the refrigerant circuit to be vented outside and the dry conditioned air to be delivered back to the room at the same temperature as the incoming humid air. Both desiccant and condensing dehumidifiers can be operated as stand-alone systems, providing dry air directly to a room’s atmosphere, or attached to a duct network to distribute conditioned air to a wider area. 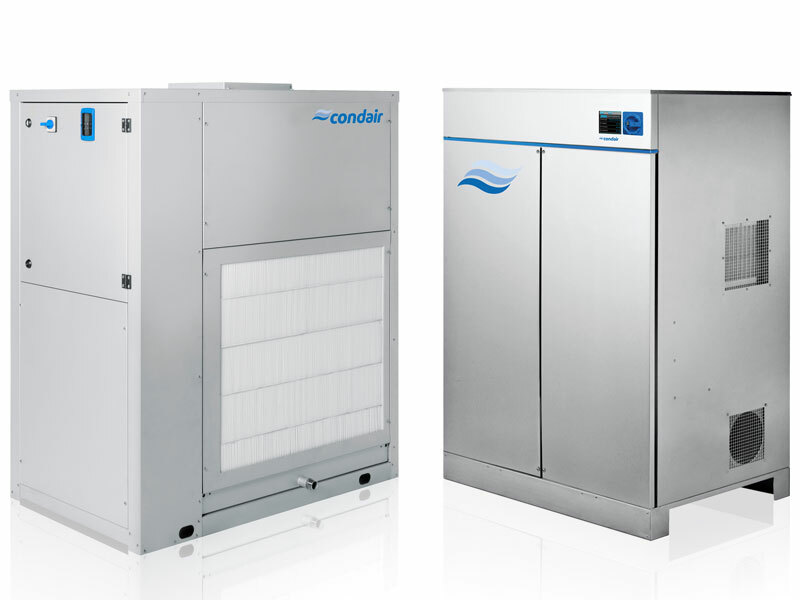 Due to the extremely large capacities available in the Condair range, a single unit is often capable of serving a whole building. 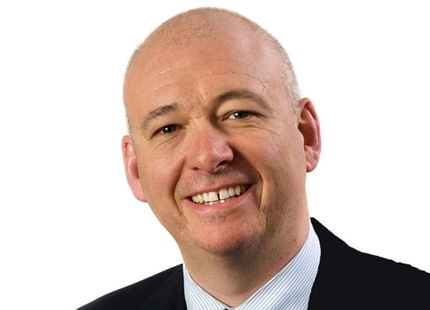 Need advice on a dehumidifier project?